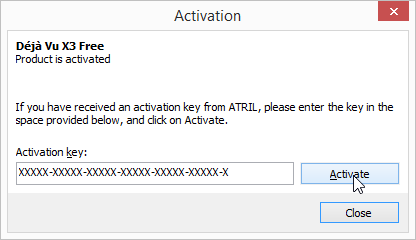 If you have an activation for 2 machines, you can have Déjà Vu activated on 2 computers at once, but not more. Open Déjà Vu X2 on the first computer. Deactivate that copy of Déjà Vu X2. If you do not know how to do so, read this article. Open Déjà Vu X2 on the second computer. Open Déjà Vu X3 on the first computer. 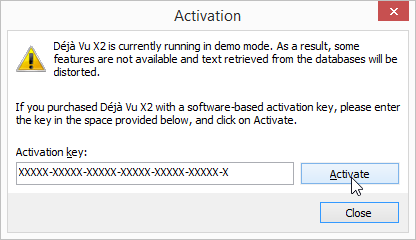 Deactivate that copy of Déjà Vu X3. If you do not know how to do so, read this article. Open Déjà Vu X3 on the second computer.